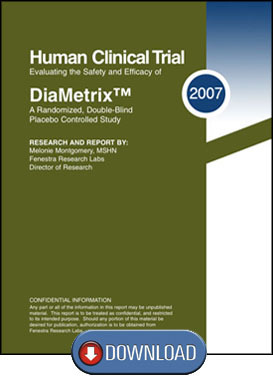 DiaMetrix® is supported by a gold standard, double blind clinical study performed in 2007 as well as a recently concluded Murine Model In Vivo study in 2010. As you may know these studies are very rare in the supplement industry. Review Our New 2010 Murine Study. 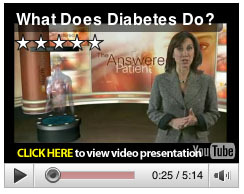 Because your health is worth $2.00 per day. 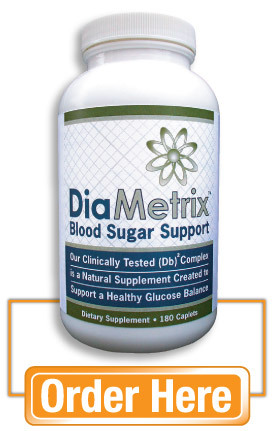 Practically every product ever formulated to assist with blood glucose balance contains one or more of the ingredients contained in DiaMetrix. 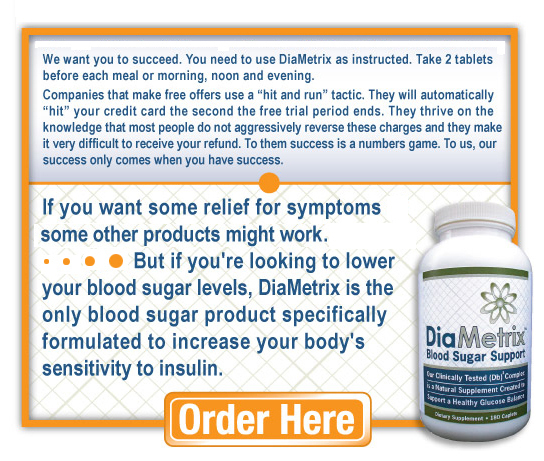 For good reason, DiaMetrix is designed for a single purpose: to help increase the body's sensitivity to insulin. 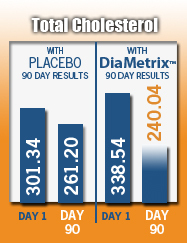 DiaMetrix doesn't treat symptoms, it attacks the root of the problem. Period. 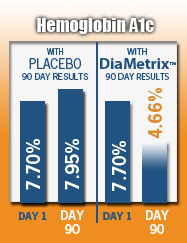 We believe after reviewing the trial results, you'll agree there's nothing like DiaMetrix available anywhere, Natural or Pharmaceutical. 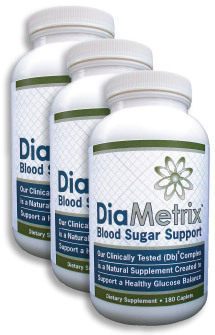 DiaMetrix is a different type of blood sugar health option compared to all others. No herbal supplement marketers invest in clinical studies supporting their products effectiveness. Why? Simple. Most herbal supplements don't work very well and nobody is going to spend the money necessary to prove they don't work. If you are taking medications always consult with your doctor before using any herbal supplement. A: The trial results speak for themselves. 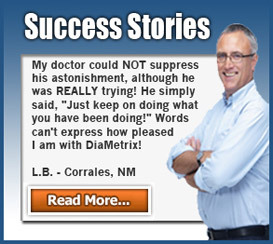 The DiaMetrix formula and the trial results were introduced to over 6,000 health care practitioners attending a national medical conference. The response was amazing. 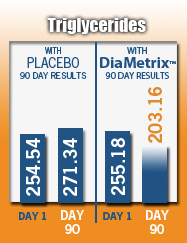 Doctors are now the fastest growing segment recommending and using the DiaMetrix formula. Once again, numbers don't lie. 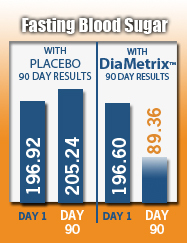 The trial results are changing the way people approach their quest for optimal blood sugar support.